As previously reported by Cointelegraph, this upcoming draft is the just the latest installment of the SEC’s attempt to regulate the cryptocurrency sector. Cryptocurrencies are a relatively recent phenomenon for most countries. Their sudden skyrocketing into the very center of both public consciousness and the world of finance has often caught governments and issuers by surprise. As a result of this, governments are often on the back foot when it comes to legislation, leaving the door wide open for scammers. An example of this is the January hack of Coincheck in Japan, which led to the theft of $532 million worth of NEM. Anger at the hack was compounded by the fact that Coincheck was not registered with Japan’s Financial Services Agency and was therefore not subject to the same level of scrutiny as other exchanges in the country. The exchange froze all transactions and issued an apology. The Coincheck security compromise is indicative of wider issues in the crypto world, with over $1.2 billion worth of cryptocurrency stolen worldwide in 2017 alone. However, investors and regulators alike are learning from their mistakes. With the Philippine government taking steps to crack down on cyber crime, the wild west environment that has allowed startups and scammers to flourish in equal measure is soon to draw to a close. In a bid to keep the country at the forefront of the ever-expanding crypto frontier, the Philippine government has created the Cagayan Economic Zone Authority (CEZA). With countries like Malta and Switzerland already ahead of the curve in welcoming both blockchain and cryptocurrencies, the CEZA is the country’s response to the ‘Crypto Valley’ of Switzerland’s Zug canton. The Philippine government permitted 10 blockchain and cryptocurrency companies to operate in the zone, with the aim of promoting economic growth and generating jobs for its citizens. In spite of appearances, the zone isn’t just a tax haven free-for-all. Companies are required to contribute no less than $1 million over a two-year period, which, in turn, is topped up by up hundreds of thousands of dollars in fees. Crypto activity in the Philippines, however, is not confined to the CEZA alone. 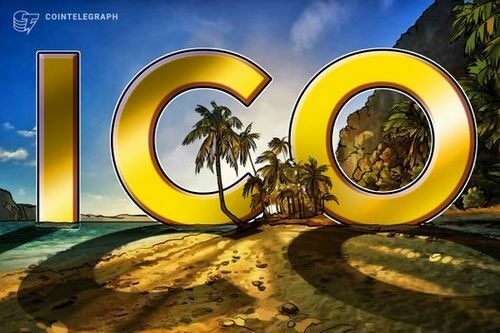 The U.S.-based company ConsenSys has launched Project i2i — short for “island-to-island,” a payment network built on Ethereum that aims to connect the 400 rural community banks across the Philippines. Although there are evidently banks to serve the country’s many rural communities, they are neither connected to any wider electronic networks nor international money transfer systems, meaning that thousands of people are without a means of making quick and reliable payments.